Robert Lee Baxter, Bob, age 84, of Gainesville, Florida, passed away on November 16th, 2018, of cancer. The memorial service will be held at 11:30 A.M. on Saturday, December 1st at Gainesville Baptist Church. Pastor Brad Noble of Gainesville Baptist Church will be officiating. Cremation arrangements are being handled by Countryside Funeral Home, Anthony, Florida. Bob was born in Iron City, Georgia on December 28, 1933 but was raised in Lakeland, Florida. 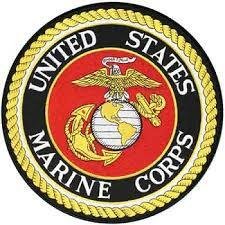 Bob went to high school in Madison, Florida where he joined the United States Marine Corps. Bob was a Korean War Veteran and a very proud patriot. After the Korean War, Bob was stationed at Camp Pendleton in California where he resided for many years before returning to Florida in 1972. While in California, Bob spent much of his time hunting bear, mountain lion and raccoon. He worked heavy equipment and in the oil drilling rigs. After returning to Florida, Bob worked in aluminum construction for many years and owned Gainesville Aluminum Products. Bob enjoyed fishing for large mouthed bass in many of Florida's lakes. Bob served the Lord faithfully in his church. He was also actively involved in the "White House Boys" from Marianna, Florida. Bob married Christie Lee Baxter on December 1st, 1978 and they were happily married for forty years. Bob loved all of his family very deeply. Bob is survived by his wife Christie, daughter Nancy Baxter Croce, step-son Glenn Jackson, step-daughter Holli Hamilton, and step-son George Hamilton and wife Missy. Other step-children Bob loved are Jene Anderson and Jim Anderson. Bob had 15 grandchildren; Wanona, David, Jennifer, Katie, Joey, Elijah, Benjamin, Michael, Michelle, Rebekah, Gabbi, Wesley, Noah, Jasper and Zander. Bob also had many Great-grandchildren. Other family Bob loved and cared about were his father-in-law Jim Fredrickson, sisters-in-law Lucy Millican, Keli Parker and husband Cam, brothers-in-law Don Potter and wife Kate, David Fredrickson and wife Ginger, niece Rebecca Hernandez, nephew Nicholas Fredrickson and many other nieces, nephews and family and friends. Bob is preceded in death by his step-father Lauren (Rusty) Bates and mother Florence, his daughter Barbara and husband Frank Kenyan, daughter Susan Baxter, son Robert Michael Baxter, grand-daughter Samantha Allsup, mother-in-law Donna Fredrickson and father-in-law Donald Potter and other family. In lieu of flowers memorial donations may be given to Gainesville Baptist Church, 3570 NW 16th Blvd., Gainesville, Fl. 32605 and/or Haven Hospice, 4200 NW 90th Blvd., Gainesville, Fl. 32606. The family of Robert (Bob) Baxter wishes to thank ET York Haven Hospice in Gainesville, Florida for their wonderful care and support during the last days of Bob's illness.